Can Torna is situated on the outskirts of Esporles, in the heart of the Serra de Tramuntana Mountain Range. Just 20 minutes from the Airport, 15 minutes from Palma and in close proximity to some of the most beautiful beaches and villages on the world famous North- Western coast of Mallorca. 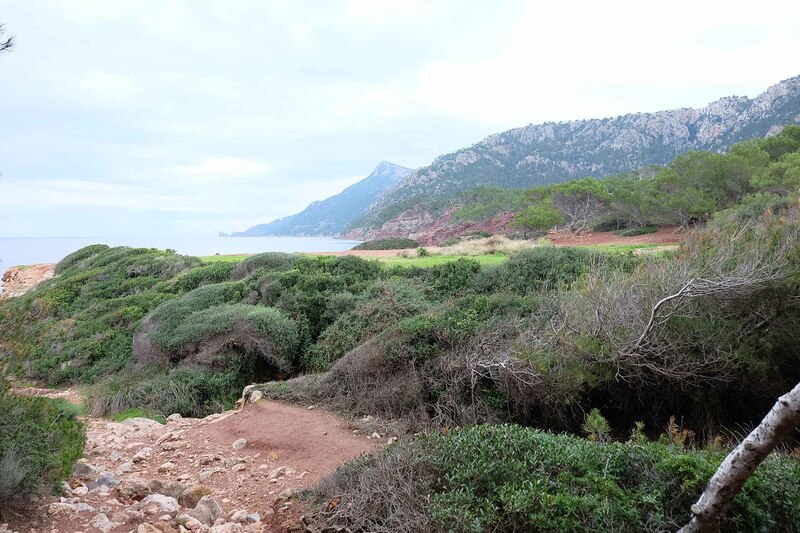 The Serra de Tramuntana Mountain range itself, which bears down on the finca (farm) and surrounds us on all sides has been host to thousands of years of agrarian lifestyle in and environment with scarce resources, people had to adapt and transform the terrain. The area was given World Heritage status in 2011 by UNESCO citing the millennia of feudal agriculture and infrastructure development as historically important and due protection from the encroachments of a bourgeoning tourist industry on the island. The Serra de Tramuntana mountain range which characterises the area offers visitors a diverse range of world class activities; from historical and agricultural tours, wine and gastronomic experiences to hiking, climbing and cycling as well as some of the most beautiful coastline for swimming and diving that Mallorca has to offer. Being a year round destination with over 300 sunny days a year, the mountains offer a slightly cooler climate than the rest of the island in the summer due to the altitude while picturesque snow-capped peaks are not an uncommon sight in the winter. While Can Torna offers our guests a secluded atmosphere in the heart of some of the best natural surroundings that Mallorca has to offer, it is within easy access of Palma and surrounding villages. Esporles is just five minutes from our gates and offers a number of restaurants, shops and bars. The village itself, like most in the area, is characterised by its stone faced architecture and beautiful views of the surrounding mountains. Slightly further afield you will find ‘The Famous Three; Soller, Valdemossa and Deia, all of which offer spectacular gastronomic experiences and are world renowned for their displays of culture, history and seaside location on the sheer slopes of Mallorca’s Serra de Tramuntana mountains. Did you know that nearly one third of the food that we consume each day relies on pollination by bees? 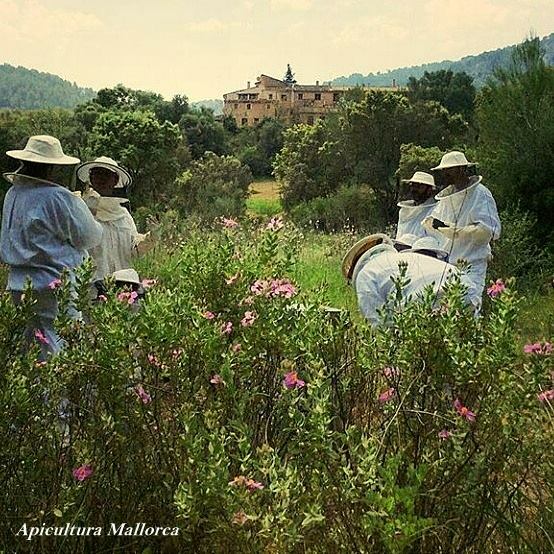 We invite you to discover the life of bees with a beekeeping experience at Ca'n Torna. 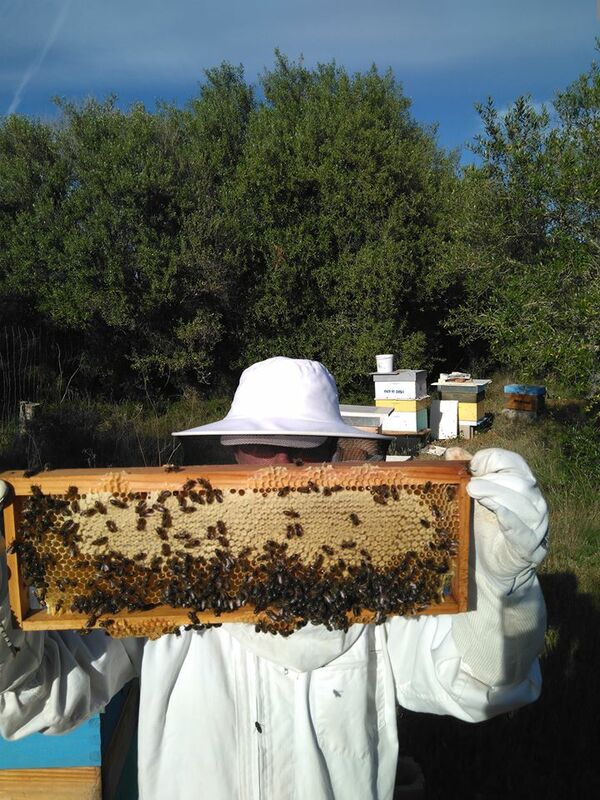 Join us for a morning tour with an experienced Beekeeper to connect with these little beings that bring so much life to the world around us. The tour is two hours long and consists of an initial presentation explaining the beekeeping process and its importance in the modern world followed by a visit to the hives where you will wear protective clothing and have a chance to get up close and personal with the bees and enjoy a honey tasting. After the tour we offer you the chance to join us on our terrace with views overlooking the farmland and surrounding Tramuntana Mountains for some "pa amb oli" accompanied by a glass of wine from the finca. We also offer the occasional traditional Flamenco performance from either your hosts, Ivan and Patricia or a number of local and touring musicians playing a variety of genres. Performances are usually held on our terrace where the warm afternoon sun blends into the light of our evening fire in these celebrations of life and expression. While Can Torna offers our guests a secluded atmosphere in the heart of some of the best natural surroundings that Mallorca has to offer, it is within easy access of Palma and surrounding villages. Esporles is just five minutes from our gates and offers a number of restaurants, shops and bars. The village itself, like most in the area, is characterised by its stone faced architecture and beautiful views of the surrounding mountains. Slightly further afield you will find âThe Famous Three; Soller, Valdemossa and Deia, all of which offer spectacular gastronomic experiences and are world renowned for their displays of culture, history and seaside location on the sheer slopes of Mallorcaâs Serra de Tramuntana mountains. One of the closest beaches is Port Des Canonge, the area rests at the bottom of a snaking mountain drive with overhanging trees and picturesque views along the route. Here you can swim and dive on secluded beaches away from the crowds and enjoy delicious fresh fish, paella and a variety of other Mediterranean dishes at any of the charming restaurants in the area. There are a number of secret coves and beaches for those who are willing to explore a little further, we would be happy to provide you with some insider knowledge as to some of the lesser known spots on our coast line. For those who love immersing themselves in nature, the sheer mountain faces and spectacular scenery in the area offers outstanding hiking and climbing routes, with mountain and coastal hiking trails like the Ruta GR221 and a number of rock and sports climbing spots in close proximity to Can Torna you can easily enjoy one of Europeâs premier outdoor destinations just minutes from our front door. The area also offers a cyclists heaven in the form of smooth winding roads with varying degrees of difficulty, from steep mountain passes to canopy covered forest routes there is something for every skill level. For those with less affinity for outdoor activities, the area also offers some truly unique gastronomic and cultural experiences. You can go wine and cheese tasting in Banyulbufar where legend has it that the MalvasÃ­a wine cultivated here was so good, it played a key part in the decision of King of Aragon to launch an island invasion. 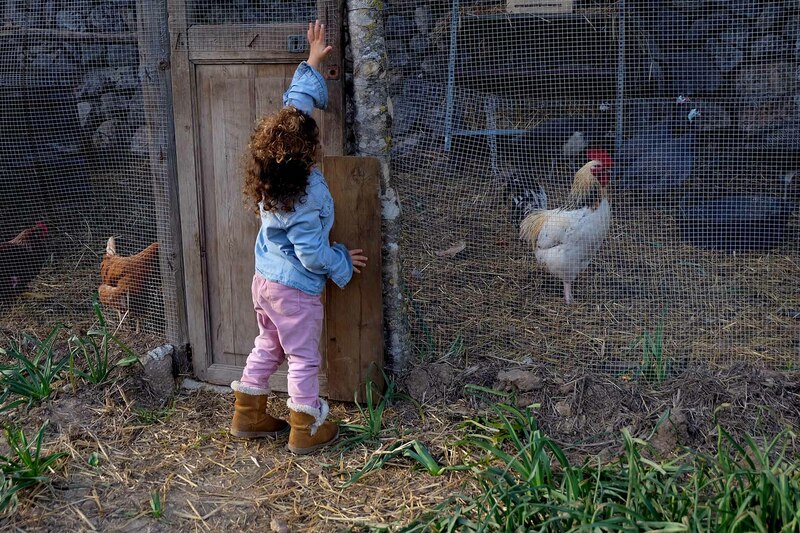 For those with an inclination for learning more about traditional Mallorquin life, you can enjoy some of the cultural history with a visit to La Granja (www.lagranja.net), a nearby house/museum from the 17th century. Throughout the year the area offers a wide range of music events, art exhibitions and local markets, feel free to ask us about happenings and events that might be on the go during your stay. 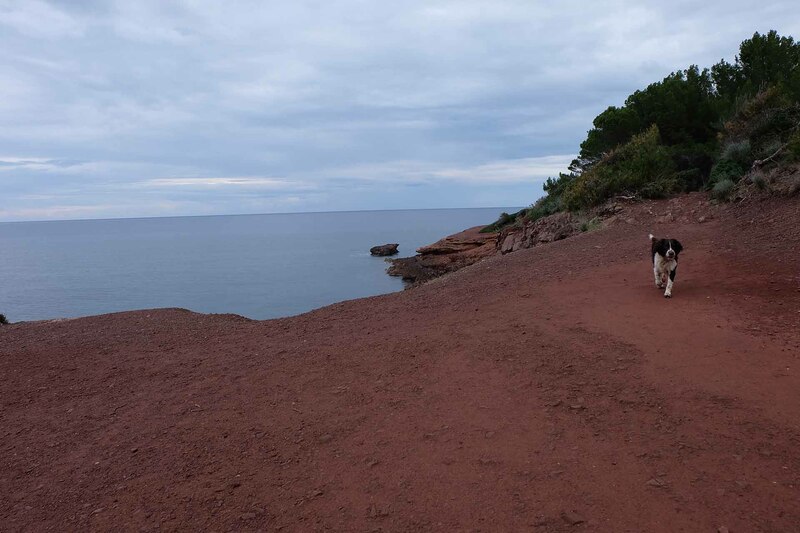 We look forward to sharing with you the wonder that is the Serra de Tramuntana and all that the area has to offer, we are sure that no matter your preferences, there will be something that offers you a unique and memorable experience of our beautiful part of the world. This agricultural lifestyle defined by those who have lived here before us, including the Talaioticâs (an iron age (Â±1500 BCE) culture endemic to the Balearic islands), the Romans, Moors and eventually Spaniards has left so much for us to learn and to care for. Much of this historical significance is visible on the property itself, our Arabian water system which still functions to this day to transport water to different parts of the finca primary amongst those. 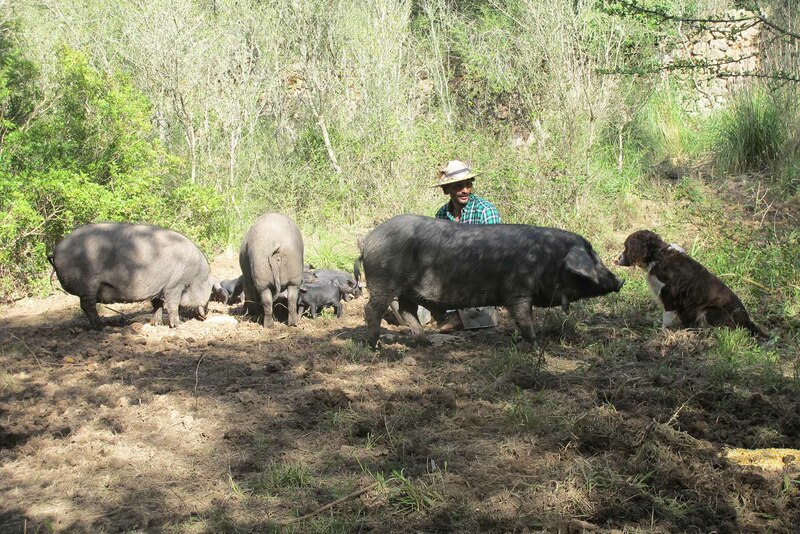 While we look back to our history for much of what we do here at Can Torna including traditional farming methods and the techniques for making our own produce, we have enjoyed some of the benefits of modernisation. We use solar panels for heating our water and have implemented a number of water saving devices including an electrolytic water filtration system. We make many of the products that we offer at the hotel including our own soaps, jams and âHierbasâ- a local Mallorquin liquor made with a variety of herbs and botanicals we find on the property. 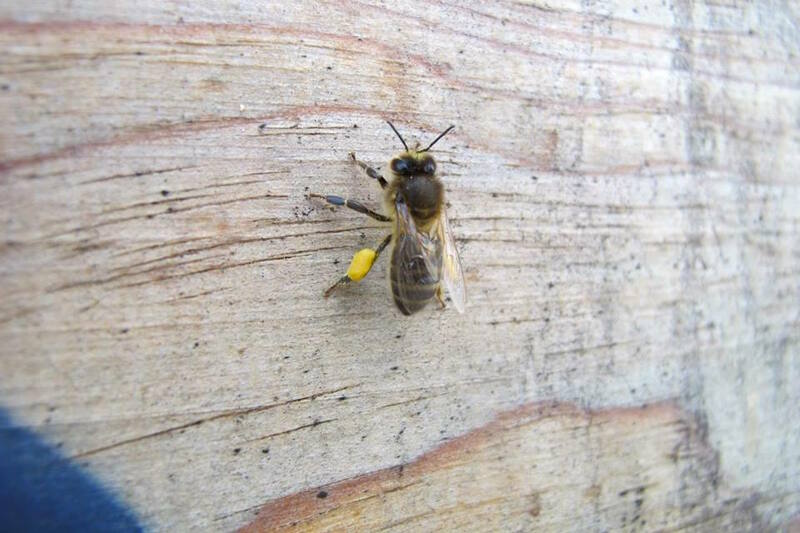 We host 12 bee hives which serve the dual purpose of providing us with clean organic honey and pollinating the plants and blossoms which cover the entire finca. With so much life in the area we are able to source all of our food and produce from either the property or from within the local community. From the house up on the plateau one can step off the terrace and follow our forest path down passed the old farm buildings and swimming pool and into the wonder that is the land itself, where you can enjoy the blissful serenity of the Serra de Tramuntana Mountains and all the life that they hold. Along the way you might meet some of our livestock, including ducks, peacocks, chickens and a drove of pigs. 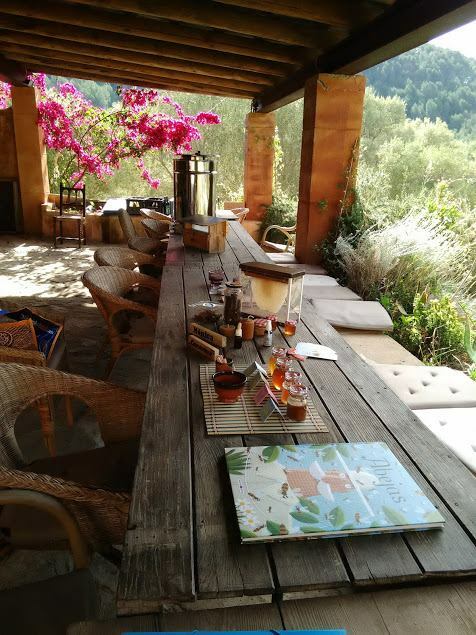 Moving on through our orchards and organic veggie garden or down to the olive groves and the vineyards, you might encounter some of the more endemic fauna and flora to the most biodiverse area on the island which is a nature loverâs dream. 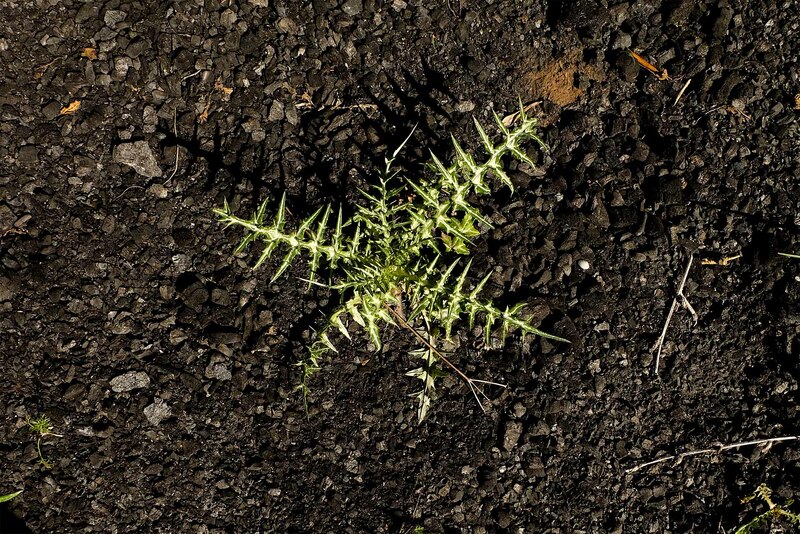 There are 124 species of endemic plants; 32 ferns, 31 orchids, 67 protected species and some 130 introduced from outside the island, all in coexistence with the almost 2,000 species of the Mediterranean. In the animal world, the island counts more than 300 endemic animal species, most of them insects, snails and other invertebrates. The one creature which seems to characterise the Balearics are the lizards, Balear and PitiÃ¼sa lizard amongst them. Should you be so lucky to encounter one, the Ferreret or Midwife toad is a well know symbol of Mallorca and is a unique creature in that the males care for their eggs and is only found in the Serra de Tramuntana. 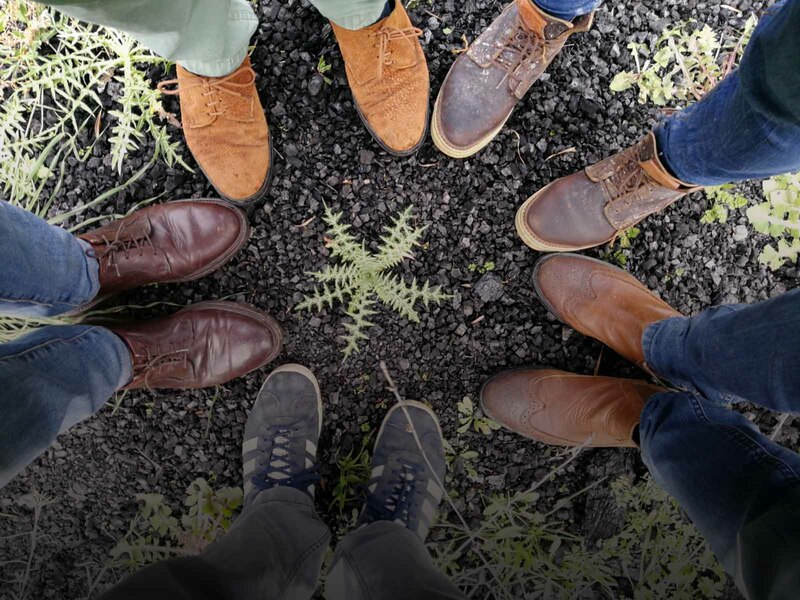 Each thing that grows and lives here brings with it a story we would love to share with you so that you might become a part of that same tale.